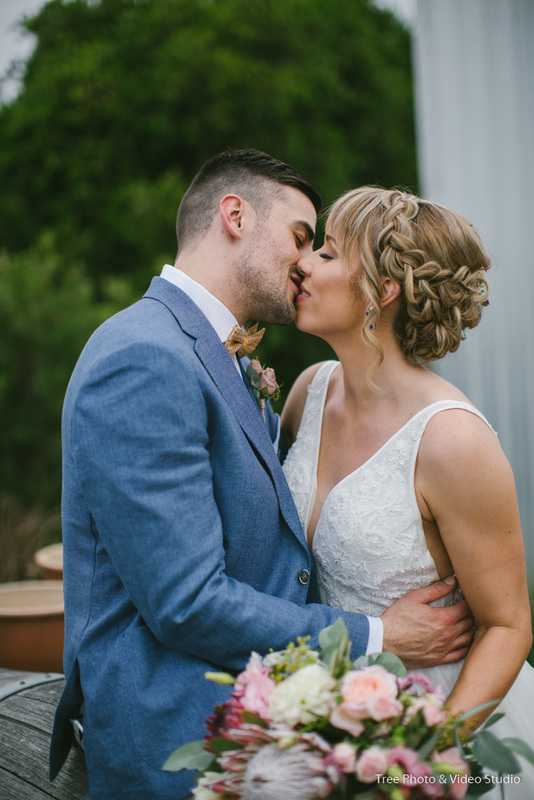 Natalie and Michael were married on March 3rd, with the wedding ceremony and reception both at Yarra Range Estate. Yarra Range Estate is a rustic and romantic wedding venue choice when you plan to get married in Yarra Valley. The stunning natural sprawling gardens and the rolling hills are the perfect backdrops to fit the rustic and candid theme. Natalie and Michael firstly meet us at a Wedding Expo in Melbourne. They choose us to capture their wedding day from nearly 20 vendors. I would say our photojournalism style perfectly suit their candid wedding theme. Our wedding photography and video team start rolling the day from the groom and bride’s preparation. Natalie and Michael organise their wedding day perfectly. The wedding day schedule runs smoothly and the details are the perfect reflection of their personalities. After the wedding preparation, we drive to Yarra Range Estate for wedding ceremony，post ceremony photography and wedding reception. Yarra Range Estate offers seasonal and delicious canapes to avoid guest walking away from your wedding for too long. It is a truly amazing experience to capture Natalie and Michael’s wedding. We are able to create more artistic images under such a candid and relaxed circumstance. Thank you, Natalie and Michael, for Letting TREE Photography and Video Studio To Be Part of Your Wedding Day. I call myself lucky to meet a couple such as you two. Best wishes for your future journey.